Dilantin Overdose occurs when an individual takes more than the recommended dosage of dilantin, a seizure medication, either accidentally or intentionally. Dilantin Overdose may be also referred to as Phenytoin Overdose. What are the Causes of Dilantin Overdose? What are the Signs and Symptoms of Dilantin Overdose? The signs and symptoms of Dilantin Overdose can vary from one individual to another. It may be mild in some and severe in others. Several systems of the body, such as the nervous system and vascular system, may be affected. How is First Aid administered for Dilantin Overdose? Who should administer First Aid for Dilantin Overdose? 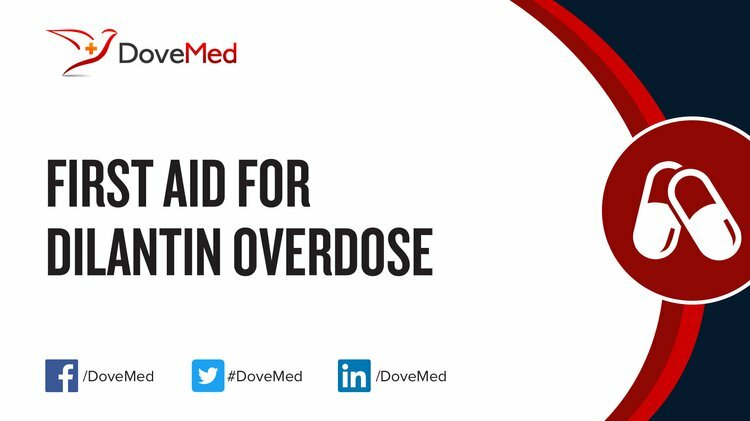 First aid for Dilantin Overdose is administered by healthcare professionals. What is the Prognosis of Dilantin Overdose? The prognosis of Dilantin Overdose is dependent on the amount of drug consumed, time between overdose and treatment, severity of the symptoms, as well as general health status of the patient. How can Dilantin Overdose be Prevented? Anseeuw, K., Mowry, J. B., Burdmann, E. A., Ghannoum, M., Hoffman, R. S., Gosselin, S., ... & Workgroup, E. X. T. R. I. P. (2016). Extracorporeal treatment in phenytoin poisoning: Systematic review and recommendations from the EXTRIP (extracorporeal treatments in poisoning) workgroup. American Journal of Kidney Diseases, 67(2), 187-197. Gupta, V., Yadav, T. P., & Yadav, A. (2011). Phenytoin toxicity presenting as acute meningo-encephalitis in children. Neurology India, 59(1), 66. Siebert, W. J., & McGavigan, A. D. (2013). Requirement for cardiac telemetry during intravenous phenytoin infusion: guideline fact or guideline fiction?. Internal medicine journal, 43(1), 7-17. Guldiken, B., Rémi, J., & Noachtar, S. (2016). Cardiovascular adverse effects of phenytoin. Journal of neurology, 263(5), 861-870. Bansal, A. D., Hill, C. E., & Berns, J. S. (2015, July). Use of antiepileptic drugs in patients with chronic kidney disease and end stage renal disease. In Seminars in dialysis (Vol. 28, No. 4, pp. 404-412). Sud, P., Nelson, L. S., Novof, J., & Rogers, R. L. (2013). Randomized controlled study on the use of multiple-dose activated charcoal in patients with supratherapeutic phenytoin levels. Clinical Toxicology, 51(1), 58-58. Lu, D. P., Lu, W. I., & Lu, G. P. (2011). Phenytoin (Dilantin) and acupuncture therapy in the treatment of intractable oral and facial pain. Acupuncture & electro-therapeutics research, 36(1-2), 65-84.